Well done just doesn't cover it. Today, Phil Packer finished the London Marathon after 13 days, on crutches. The Major lost the use of his legs in a rocket attack in Basra and was told he would never walk again, a fact roundly belied by his inspirational efforts to cover the 26 miles of the London Marathon. 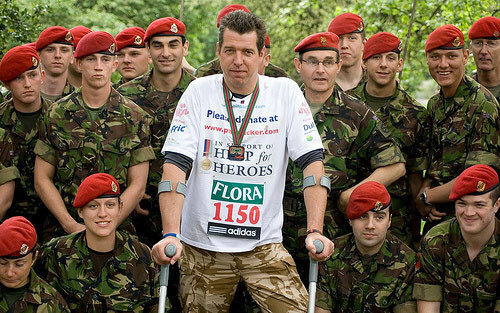 His mission is to raise £1 million for Help the Heroes - you can help him reach his target here.